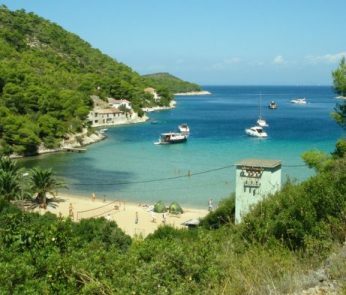 Sukosan is a small town located only 10 km from Zadar, in a beautiful, wide bay known as Zlatna Luka (Golden Harbor). 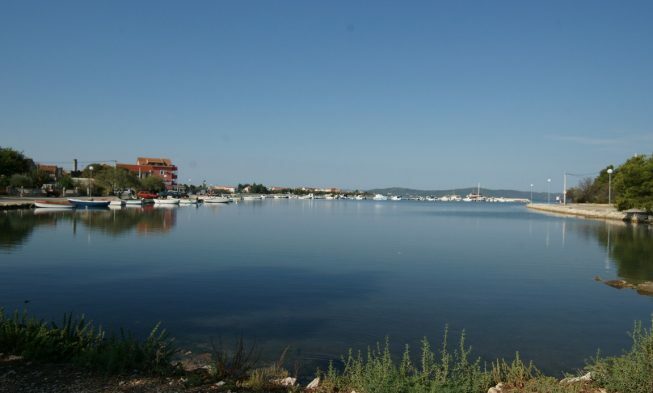 Sukosan is a small town located only 10 km from Zadar, in a beautiful, wide bay known as Zlatna Luka (Golden Harbor). Another advantage of this small Dalmatian town is the proximity of five well-known national parks and two natural parks of which the best known are: Kornati National Park, Paklenica National Park, Plitvice National Park, Telascica Nature Parks, Lake Vrana and Velebit. Sukosan has only 3000 inhabitants and the title of a tourist place has been provided by the fact that it has more than 3000 beds in apartments, pensions, apartments, motels and hotels. 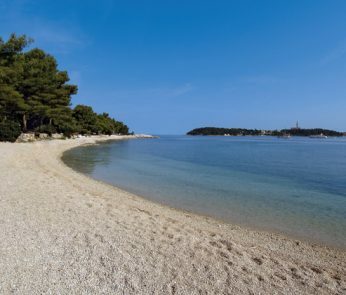 Sukosan is also known as a nautical center thanks to Marina Dalmacija which has 1200 berths, 500 dry berths and a private beach located within the marina area which is unique on the Adriatic. What attracts many tourists every year to Sukosan are the beautiful sandy and pebble beaches that are the right choice for a holiday in a true summer idyll. Besides the main beach of the city Djecji raj (Children’s Paradise) Sukosan has many other beaches and many picturesque bays. Most of the beaches of Sukosan have a shallow sandy bottom which makes them an ideal choice for family vacations. All the beaches of Sukosan are generally protected by safety buoys to the open sea and are equipped with showers, chemical toilets, garbage cans, cabins and a range of services. As we have already mentioned, Sukosan has about 3000 beds in luxury apartments, pensions, apartments, motels and hotels. The beginning of the development of Sukosan as a tourist resort began in the late 1920s. At that time, Sukosan was visited by around 500 foreign tourists in the summer, mainly from the Czech Republic and Germany. Precisely these visitors called the shallow main beach of Sukosan, Children’s Paradise. At that time began the construction and opening of the first apartments and pensions, so it is safe to say that already in 1938 began tourism organized in Sukosan. As for the camps in Sukosan, the most important camp to mention is the Malenica campsite, a private camp where you can relax in the beautiful nature, the sun, the crystal clear waters and friendly people. You can also spend a fun and interesting holiday at the Punta private field with a capacity of 10 units, which is located on a flat land in the shade of the trees, equipped with sinks, showers, space for showering, washing clothes, dishes A fridge and ironing facilities are available. Sukosan has a rich gastronomic offer that has been greatly simplified by the development of tourism in this small Dalmatian town. In Sukosan you can find numerous bars, restaurants and taverns where you can feel the true spirit of the place and the people and enjoy their hospitality. The gastronomic offer includes a variety of local Dalmatian dishes prepared according to traditional local recipes. The offer includes fresh fish every day, which, combined with virgin olive oil, fresh local vegetables and homemade wine offers a unique gastronomic experience. There are also the inevitable meat specialties, which are as popular as the fish, also cooked in traditional Dalmatian style. In addition to excellent food, comfortable accommodation and beautiful beaches where you can enjoy swimming, diving, surfing and other beach activities, during your stay in Sukosan you can also enjoy various other activities such as hiking, running, cycling, rafting on Zrmanja etc., or you can opt for a day trip to one of the national parks and nature parks that are located near Sukosan. There are some smaller supermarkets in the center of Sukosan where you can find all the daily goods, in the center there is also a butcher and several bakeries. If you need to do a bigger shooping we suggest you go to Zadar. In Sukosan, as in other small Dalmatian cities, you can enjoy Dalmatian song, dance and a wide selection of local specialties. On the beaches there are some bars where you can relax with a variety of drinks and cocktails. During the summer, some of them have a variety of shows and DJs. Larger discotheques and a livelier nightlife can be found in Zadar. If you are coming from the north or south via the A1 motorway, the nearest exit to Sukosan is Zadar 2. You can also use the coastal road, but during the summer it can be very crowded, so it is better to use the highway . 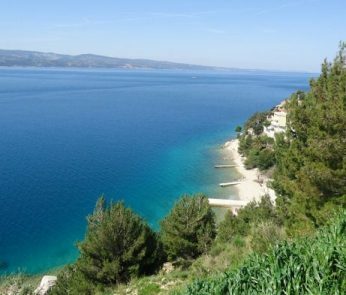 The nearest airport is Zemunik near Zadar, which is about 12 km from Sukosan (about 15 minutes by car). Regular bus lines passing along the coastal road stop along the main road to Sukosan and from Zemunik airport you must first go to Zadar bus station to catch a bus to Sukosan.